Dr. Barsky received her B.S. in Chemistry from Denison University and her Ph.D. in Geochemistry from Washington University, St. Louis. She taught electron microprobe analysis and conducted research at the University of Missouri before joining the Owens-Corning Fiberglas Technical Center, where she managed scientists and engineers conducting research and development for the fiberglass industry. She later became the Administrative Manager of the Chemistry Department at The Ohio State University, and subsequently was appointed Host Site Coordinator, and later Statewide Administrator, for Project Discovery, the Statewide Systemic Initiative in Mathematics and Science Education supported by the National Science Foundation and the State of Ohio. From 2007 to 2011 at the Ohio Department of Education Dr. Barsky implemented innovative programs based on her research in science education and education reform. She spearheaded changes in the requirements for professional development models in science and mathematics, utilized international benchmarking for science standards, and initiated new concepts for integrating multiple science, technology, engineering, humanities, and fine arts disciplines with 21st century skills using Ohio’s standards “Eye of Integration” model. She also collaborated with the International Center for Education Research and Innovation of the Organization of Economic Cooperation and Development (OECD). Dr. Barsky and Physics Professor and Nobel Laureate Kenneth G. Wilson founded Learning by Redesign in 1997. As a research organization developing novel ideas on education reform they focus on stability and change in institutions by integrating education, productivity, economic and sociotechnological systems. Their research examines processes of change in education, compares international reforms with current US efforts, and integrates the work of the late management expert Peter Drucker into education reform concepts. Currently Dr. Barsky serves as Vice President of the Denison University Research Foundation and was elected to her third term as a Village Council member in Granville, OH, serving as Vice Mayor. John Conklin received his BA from Transylvania College in Lexington, KY and his MS in Mathematics form Ohio University. Now retired, he taught mathematics at Trimble High School in Athens County for 35 years. He has presented at OCTM and NCTM meetings. He served on the writing team for Ohio's Academic Content Standards for Mathematics and as a member of the development team for Ohio's Mathematics Learning Conductor. He served on the Board of OCTM, on the Board and as President of OMELC, and currently serves on the Executive Board of OMSC and on the Mathematics Review Board of ORC. He is a member of OCTM, NCTM, OMELC and OMSC. John R. Crooks is the Associate Provost of the University Partnership and Director of Distance Learning at Lorain County Community College. He also served as the Director of Science and Mathematics at LCCC for 7 years. Prior to this position, Dr. Crooks was Chair of the Division of Science, Mathematics, and Computer Science and also an Associate Professor of Biology at Iowa Wesleyan College. Dr. Crooks received his BS and MS in Biology from Northeast Missouri State University (now Truman State University), and his PhD in Biology from Bowling Green State University. He is a life member of the Missouri Academy of Science, the Ohio Academy of Sciences and Sigma Xi, The Scientific Research Society. He also has membership in AAAS, Community College Baccalaureate Association (CCBA), and serves as the college’s liaison for the Council for Undergraduate Research (CUR). Dr. Crooks has served on the OAS Science policy committee and has reviewed scholarship applications for the Ohio Academy of Science, University of Toledo CSE program and has been a reviewer for Science Net Links and Science Books & Films. He has had students and faculty present at several venues including state Academy of Science meetings and the AAAS annual meeting. Dr. Crooks has also served as a judge for area science fairs and was formerly the Director of the Region IV Science Olympiad. He has been involved with several funded grant proposals and has presented papers in several venues worldwide. He currently chairs the Institutional Review Board at Lorain County Community College. He has served on the Ohio K-12 Academic Content Standards Science Writing Team, the Lorain County Curriculum Team (providing professional development for area 4-12 teachers), and as a steering committee member for Lorain County College Tech Prep. Dr. Crooks developed and coordinated a grant funded Young Women STEM summer camp program (program for female students in grades 5-8 and focuses on Lego robotics, biotechnology, and German). ​Greg Foley received BA and MA degrees in mathematics and a PhD in mathematics education from the University of Texas at Austin. He is the Robert L. Morton Professor of Mathematics Education at Ohio University. Foley has taught elementary arithmetic through graduate-level mathematics, as well as undergraduate- and graduate-level mathematics education classes. He has held full-time faculty positions at North Harris County College, Austin Community College, Ohio State University, Sam Houston State University, and Appalachian State University, and served as Director of the Liberal Arts and Science Academy and as Senior Scientist for Secondary School Mathematics Improvement for the Austin Independent School District in Austin, Texas. Dr. Foley has presented over 300 lectures, workshops, and institutes throughout the United States and internationally, has directed or codirected more than 50 funded projects totaling some $5 million, and has published over 50 scholarly works. In 1998, he received the American Mathematical Association of Two-Year Colleges Award for Mathematics Excellence; in 2005, the Teachers Teaching with Technology Leadership Award; and in 2015, the Ohio Council of Teachers of Mathematics Kenneth Cummins Award for exemplary mathematics teaching at the university level. Much of Dr. Foley’s scholarship has focused on teacher and faculty professional development and textbook curriculum development to enhance the transition from the secondary to the postsecondary level for both STEM students (Precalculus: Graphical, Numerical, and Algebraic) and non-STEM students (Advanced Quantitative Reasoning: Mathematics for the World Around Us). ​He currently serves as chair-elect of OMSC. 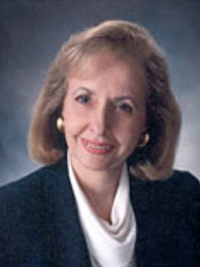 Dr. Herrelko received her Bachelor of Arts degree from Regis College, Weston, Massachusetts. She completed her Master of Arts degree at the University of Maryland, College Park, Maryland. Her doctorate in mathematics education was earned at the University of Massachusetts Lowell. She worked as a classroom teacher for over 25 years teaching grades 7 through 12 mathematics. Her teaching experiences were in Ohio, California, Maryland, Massachusetts, and New Hampshire following the career of her husband, an Air Force officer. Her classroom-teaching career began in Beavercreek, Ohio and ended in Mason, Ohio when she moved to the university level. While a classroom teacher, she earned National Board Certification in Adolescence to Young Adult Mathematics. Presently, Dr. Herrelko, associate professor of mathematics education, is working at the University of Dayton where she has been a faculty member for 10 years. As a professional educator, Dr. Herrelko commits her time to organizations that foster the development of educational research and support excellence in schools. She works with groups on the state and national levels. She has served as president of the Ohio Mathematics Educational Leadership Council and the Ohio Mathematics and Science Coalition as well as having served as treasurer of Women and Mathematics Education, an affiliate of the National Council of Teachers of Mathematics. Dr. Herrelko presents educational research at national educational conferences such as the National Council of Supervisors of Mathematics, the National Council of Teachers of Mathematics, the Association of Mathematics Teacher Educators, School Science and Mathematics Association, and the National Middle School Association. Making a presentation at the Ministry of Education in Beijing, China was memorable highlight for her. Her publications track teacher professional development. They identify new professional development methods to link mathematics with teaching standards and professional growth. Dr. Kasten presently serves as the Executive Director of OMSC and has more than 45 years experience in mathematics education and related areas. Her academic work was done at the University of Missouri, where she received both her baccalaureate and master’s degrees. She received her Ph.D. in mathematics education from The Ohio State University in 1981. She began her professional work as a high mathematics teacher, additionally she worked as an intervention specialist in the middle grades, an elementary mathematics consultant in a school district, a faculty member at Ohio State University, a consultant and assistant director at the Ohio Department of Education, and retired from the position of Director of the Ohio Resource Center for Mathematics, Science and Reading. Presently she is working part time as a program director for a project in the College of Education and Human Ecology at Ohio State University. She has held a variety of elected and appointed positions in state and national mathematics organizations and is the recipient of the Christopherson-Fawcett Lifetime Achievement Award for Mathematics Education in Ohio and Ohio Pioneer in Education Award. Dr. Sattler received her Bachelor of Science Degree in mathematics, her M.Ed. in post-secondary mathematics and her Ph.D. in higher education with minors in research and measurement and educational technology from the University of Toledo. She has worked for Terra Community College since 1982. She began as an adjunct mathematics instruction and was hired as a full-time instruction in 1988. In 1989, she became head of the Mathematics and Science Department. She has held various positions at the college and now served as Dean of Arts & Sciences and Business at Terra. She became Dean Emerita in 2012 and continues to teach mathematics online as an adjunct faculty member. She also teaches math education classes online for Walden University in their masters program. She serves on the Assessment Committee at Walden. Dr. Sattler is a member of AMATYC (American Mathematical Association of Two Year Colleges) and has served as chair of the Placement & Assessment Committee and the Distance Learning Committee. She is a past president of AMATYC and co-chaired the steering committee to create the document IMPACT: Improving Mathematical Prowess And College Teaching. She has also served on the Mathematical Sciences Education Board. She is past-president of the Ohio Mathematical Association of Two-Year Colleges and presently serves as its historian. Dr. Sattler is a past chair of the Ohio Mathematics and Science Coalition and has served on its executive board since 1998. She is a member of the Joint Committee for Women in Mathematical Sciences, the Mathematical Association of America (MAA), the National Council of Teachers of Mathematics (NCTM), and the Ohio Council of Teachers of Mathematics. She currently serves as Treasurer of OMSC. William G. Steenken (Bill) retired from GE Aviation after 35 years of working on inlet-engine compatibility, and engine-operability technology and development issues for turbojet-powered aircraft. He still consults on a regular basis and is chairman of a national standards committee – Turbine Engine Inlet Flow Distortion. Bill has twenty-two years of elected school board service, is an active member of the Ohio Mathematics and Science Coalition and has served on its Executive Board since 1997, is a member of the American Mathematical Association of Two-Year Colleges (AMATYC) and serves on its Foundation Board, has served on the Board of Directors of the National Alliance of State Science and Mathematics Coalitions (NASSMC), served a three-year appointment to the Mathematical Sciences Education Board of the National Research Council, and has served or is serving on other policy boards or councils concerned with improving mathematics and science education in Ohio. Bill holds a Ph.D. in Mechanical Engineering from the University of Wisconsin – Madison. Dr. Walker-Glenn earned a Bachelor of Science degree in mathematics from Xavier University, Cincinnati, Ohio. She completed her Masters of Education in educational leadership at the University of Cincinnati, Cincinnati, Ohio. Her doctorate was earned at Miami University, Oxford, Ohio, in educational leadership. Her doctoral research combined her work in mathematics education and school leadership to focus on ways in which school leaders promote quantitative literacy. She has worked as a high school mathematics teacher in both the public and private setting. She began her teaching career at St. Xavier High School, Cincinnati, and continued her teaching career in the Lakota Local School District. She has also worked as a 7-12 building administrator, serving first as an assistant principal, and then as building principal, for Deer Park Jr./Sr. High School. She has taught undergraduate courses at Miami University for the department of Educational Leadership in the area of teacher leadership. She currently works as an educational consultant serving approximately thirty-five schools in Southwest, Ohio through her affiliation with High Schools That Work (HSTW) and Making Middle Grades (MMGW) Work. In this role, she works as a school improvement consultant—assisting schools with strategic planning, data analysis, teacher teaming, curriculum alignment, and best practices in instruction. She also serves as a leader for school Site Review Process (SRP) visits for schools in the HSTW and MMGW network across the state of Ohio. 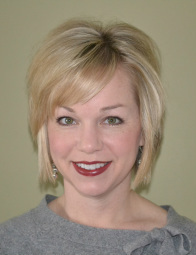 She assists with the development and coordination of HSTW and MMGW principals’ networks for Butler, Warren, and Hamilton County, as well as the HSTW/MMGW Site Coordinators network and helps plan professional developoment offerings for HSTM SW Ohio. Dr. Walker-Glenn has co-authored a grant-sponsored publication entitled: Strategies for Numeracy Across the Curriculum. She has provided professional development for teachers across the state to support the development of quantitative literacy, in mathematics classrooms and non-mathematics classroom alike. 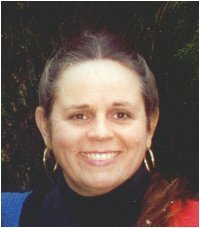 She currently provides services as a mathematics consultant for schools and educational service centers including: Butler County Educational Service Center and Curriculum Engineers, Inc.
She is a member of the Association for Supervision and Curriculum Development (ASCD), and the National Council of Teachers of Mathematics (NCTM). She holds licenses as a 7-12 mathematics teacher, a 7-12 principal, and a superintendent. She currently serves as chair of OMSC.